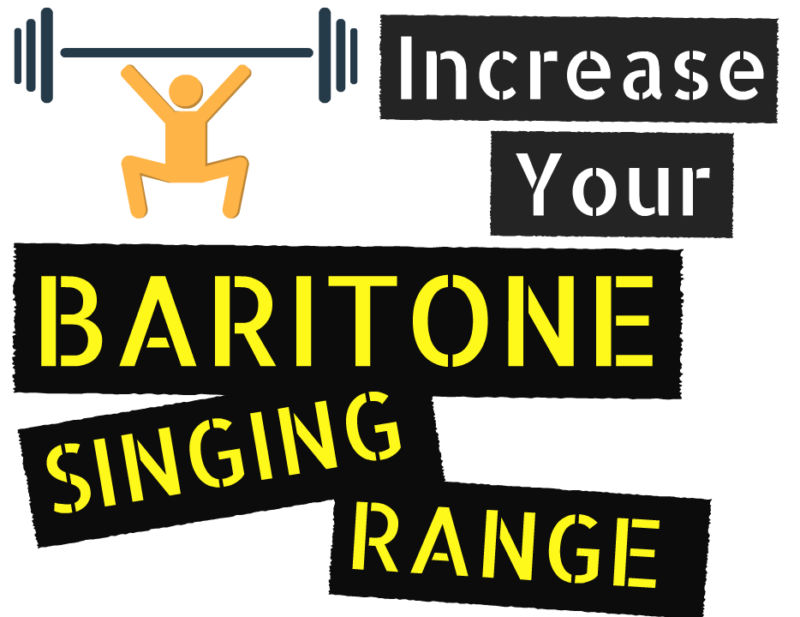 The baritone voice range, known for it’s richness of depth and low pitch, is often overlooked as one of the most common voice types. In my experience as a voice coach, at least three quarters of my students are Baritone singers – in part due to Bohemian Vocal Studio being one of the only, or at least very few effective resources out there designed for teaching Baritone voices how to sing better. In this list, I’m going to prove that yes indeed, Baritone singers DO rock, and CAN build powerful and extensive voices – with the right training. 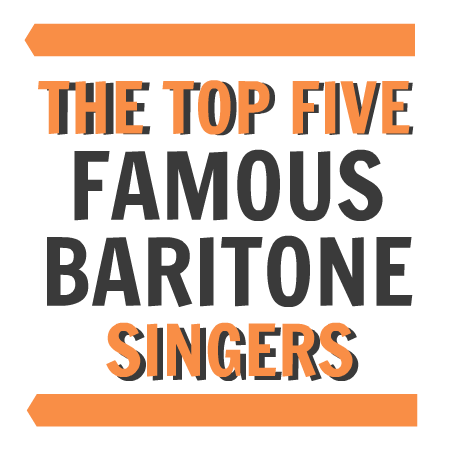 I’m sure you’re not shocked that Johnny Cash is the first in this list of famous baritone singers. Known for his outlaw country tunes about wheelin’ and dealin’ in the good old days along with his immediately recognisable baritone voice type, John Cash is famous for singing Baritone songs like A Boy Named Sue, I Walk The Line, Ring of Fire and others with a rich, deep and rumbling speech-like delivery. A personal favourite Johnny Cash tune is his rendition of Nine Inch Nails “Hurt”, accompanied with a heartbreaking clip, you can just hear the years and miles that have been put on that magically rich voice. I wouldn’t say that Johnny Cash was a ‘great’ singer from a vocal technique perspective, but what he had, he made the best of – I especially love how the money note for Johnny Cash was often the lowest note in the song, rather than going for a high note or belt like other famous baritone singers often went for. Known for wailing well up and past the Tenor range, Chris Cornell possessed one of the most incredible vocal instruments ever heard. A large part vocal training, plus another part natural gift – Chris Cornell was known for his extensive vocal range and sharp, aggressive delivery. As the quintessential 90’s rocker, Chris Cornell’s voice was a raw as it was unearthly. Learning how to sing like Chris Cornell was one of the very first reasons I first started learning how to sing, and ultimately lead me towards becoming a voice coach myself. Chris Cornell was the master at register release, vocal placement and resonance tuning – all an important part of any healthy and impressive vocal technique. Chris Cornell’s voice range extended from low in the 2nd Octave well towards the top of the 5th Octave, proving that a Baritone really can make it in a supposedly Tenor’s world – developing the right vocal technique plays a bigger part in an extensive and powerful vocal range than your vocal type. Another favourite Baritone from the 90’s era is Mark Lanegan, the brooding and imposing figure who’s ubiquitous voice can be heard on albums by The Screaming Trees, Mad Season, Earth and Queens of the Stoneage. While vocal prowess probably isn’t what Mark is best known for, his booming and swampy baritone is as unsettling as it is soothing. Lanegan’s voice is proof that an expansive career isn’t ALL about extensive range – sometimes expression and tone is as impressive as a wild range. Another personal influence, Eric Burdon’s extensive baritone belt is still as powerful and consistent as it was in the 1960’s, albiet with a bit more gruff and gravel than the smooth and seemingly endless range of his youth. Eric Burdon makes use of a powerful belt register care of a well developed middle voice coordination, along with great Baritone vocal placement for an efficient and HUGE sounding resonance. Eric Burdon’s voice range extends from low, low in the second octave well up towards a high C, making his voice the ultimate rock belting machine, as versatile as it is powerful. Another singer known more for his extensive and shrieking wail than his natural Baritone range is Axl Rose. Gun’s ‘n Roses Songs like Civil War, Don’t Cry and It’s So Easy have been mistaken as having two distinct singers – when in fact they utilise Axl’s natural Baritone range juxtaposed against his screeching high range. While he’s not known for having great vocal technique, and it’s totally not something you should do to your voice – Axl deserves a mention out of sheer vocal extension and individual style rather than solid vocal technique. There’s a good reason why you don’t hear to many singers singing like Axl, and it’s the same reason that Axl doesn’t sound the same now as he did in the 1980’s – it’s quite simply not a sustainable healthy way to sing, but MAN is it instantly recognisable and unique. Other great baritone singers include Jim Morrison, David Coverdale, Eddie Vedder, Elvis, Sinatra, James Hetfield, David Bowie, Iggy Pop, Bruce Springsteen, Cat Stevens, Glenn Danzig and so many others. No matter your voice type, you can build a powerful voice with the right vocal technique. How can a Baritone learn to sing higher? As you can see from the list above, your voice type is not necessarily indicative of your vocal range – you can learn how to increase vocal range no matter your voice type, and even a Baritone voice can be trained to sing with an impressive high range like Chris Cornell, James Hetfield and Axl Rose. The first step is to build a strong foundation, and as I often say to my online singing students, your singing voice is only as good and strong as the foundation that it’s built on, and the exercises you practice are only as useful as the intention and understanding behind them. Make sure you understand the singing approach you are trying to implement, and you ask your voice coach how and why their methods and exercises will help you build a stronger and healthier voice. Your foundation starts with posture, diaphragmatic breathing and resonance placement. By setting up your posture and implementing Appoggio singing technique, you ensure that your breathing is controlled by extension of the diaphragm rather than expansion and contraction of the ribs, leading to a resonant, powerful and strain free singing voice. Now that you’ve set up a healthy foundation for your voice, you can start implementing more advanced singing technique like resonance tuning, vowel shaping, consonant grouping and development of your MIX register. The middle register is especially important for Baritone voices as it bridges the gap between and connects chest and head voice, while allowing you to ascend past your naturally boomy and deep low range. The mix register is a coordination of both of the elements that make up your chest voice, and your head voice respectively – leaving your with the rich depth of your chest voice, and extensive range that head voice affords. Increasing your singing range is easy once you’ve engaged your middle register, so make sure your singing approach and voice coach has a practical way to show you how to access your middle voice, while tuning your resonance to the resonant space as you ascend in range. Every singer can increase their vocal range with great effect and extensive reach, but it requires dedication, professional training and consistent practice. With these 5 Baritone singing techniques, you can start building your Baritone voice today and unleash your high range. Remember, a singing voice is only as powerful as it’s foundation, so make sure you start with your posture and breathing before trying these Top 5 Baritone Singing Techniques. Vocal placement requires removal of any excess or unnecessary frequencies which aren’t resonating in a clear manner, so that you can focus your energy on more efficient resonance and easier phonation. 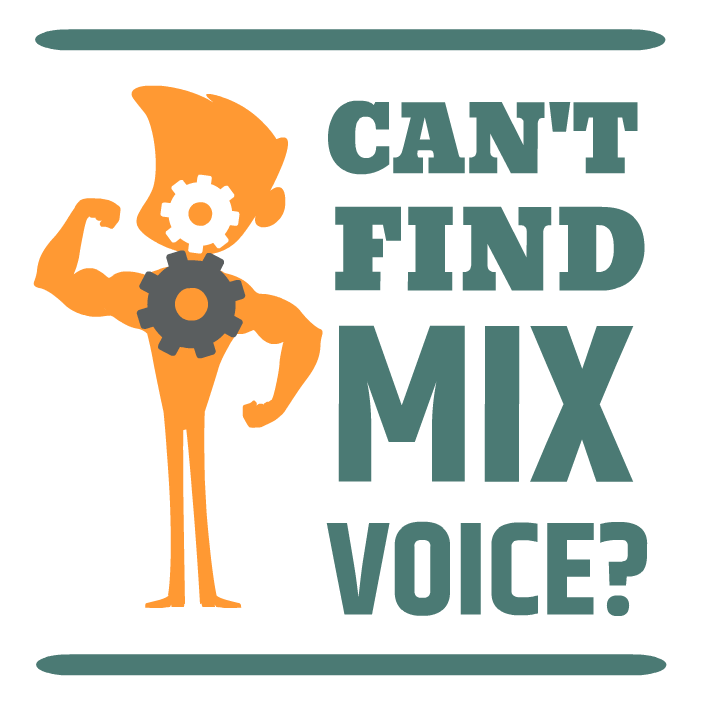 We all know Chest Voice and Head Voice – but what about the MIX register? The MIX register, or simply “Middle Voice” is the direct link between your chest and head voice that you likely feel has been missing from your vocal technique. Make sure you release from your chest coordination and start developing your mix voice for a more powerful tone that connects chest and head voice. Tuning your resonance as you ascend is the magic secret held within most expensive “guru” singing courses. Often called Vocal Modification, tuning your resonance requires you to alter the width of your vocal tract and height of your soft palate to allow for best use of your resonance as you ascend in range, and ultimately create a seamless and consistent voice that sounds and feels like one long, connected note. Onsets are especially important for a baritone because they involve coordination of your vocal chord closure and your air flow, two elements of singing that most Baritones struggle with. A balanced onset is simply a central coordination of your air and your vocal chords to create instant and strain free resonance each time you start a note, without excess breath aspiration or force. Another common issue for Baritones is a lack of understanding how the speaking voice differs to the singing voice, and how your vowels are produced in a different way for each vocal application. Using the right tongue shape for each of your singing vowels, along with their corresponding vocal tract width will ensure consistent and efficient vowel production every time you sing, in any range, and any word. Learning to replace your speech vowels in a song with the right tongue shape will take you further in singing that almost every other technique on this list put together – make sure you’re singing your vowels the right way rather than relying on speech pronunciation. Good speaking is often partly sung, but good singing is NEVER partly spoken – your singing voice and your speaking voice, while using the same mechanism, are ultimately two different applications and processes. With these 5 singing techniques, you can increase your Baritone singing range and learn how to sing like Chris Cornell and other baritones with ease. A great place to start is this Exclusive Baritone Singing Lesson which will show you the process needed to take your voice from a low rumble to a powerful and extensive range. Do you have any questions about your Baritone voice? Please leave any feedback or questions below! Kegan an interesting article, I am showing my age or maybe just my classical music training. Famous Baritone singers for me are of the operatic variety such as Bryn Terfel and Placido Domingo, although I’ll have to research the latter to check. But although I come from a completely different musical style I think the Baritone vocal tone is so lovely and an interesting tone between tenor and bass. I enjoyed learning that Johnny Cash and Axl Rose are baritone but when you think about it you are absolutely correct. Really interesting! Absolutely, Bryn Terfel is a bass as far as I’m aware – and Placido Domingo is definitely a Tenor. The mark of a good singer is that their range, or limitations that seemingly come with their range, are inaudible. Healthy singing technique will allow you to connect your chest and head register in a seamless way to allow an extensive and expressive vocal range no matter your voice type. Unfortunately for us Baritones, and basses as in the case of Bryn, is that there are no resources out there designed for our non standard voice, and very few coaches who understand the unique issues and process that is required to train a Baritone voice. It is amazing that two singers with the same voice type, technically, can have such polar styles and such different sound voices. Interesting indeed!